Lead generation is one of the most important goals every business goes after. However, if your offer can’t be seen by your audience, any opportunity for lead gen will ultimately be squandered. This is where marketing magnets come in. As we know from the world of physics, magnets create attraction, and this is precisely what is needed in order to get your digital offers in front of your audience. 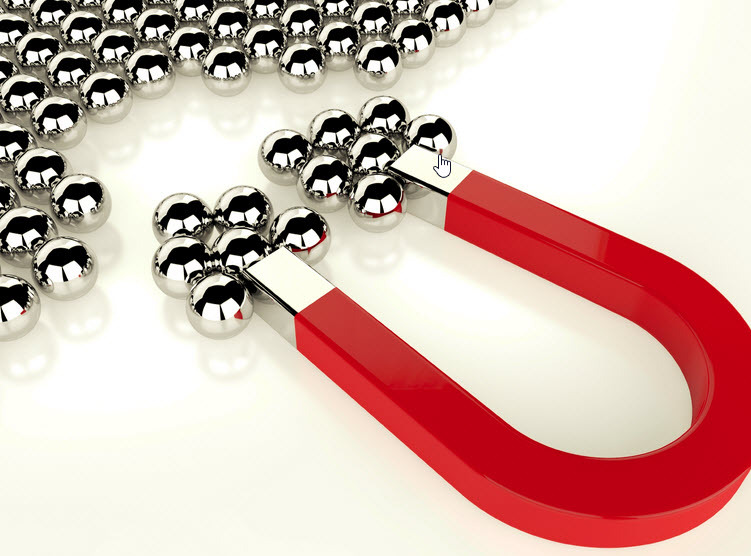 In the following paragraphs, we’ve compiled 5 marketing magnet tactics to help you boost your lead generation strategy and achieve that results you much deserve. Let’s start off the list with something that might seem obvious; content. As we’ve stressed time and time again, quality builds authority, which in turn is the strongest marketing magnet a business could ask for. These elements should directly address your target audience's pain, needs, and interests (PNIs.) Each and every one of us has pains, needs and interest and we are all looking for valuable solutions that address that. Do you spend time on a sub-par site reading low quality content? Of course not. You focus on finding valuable content. 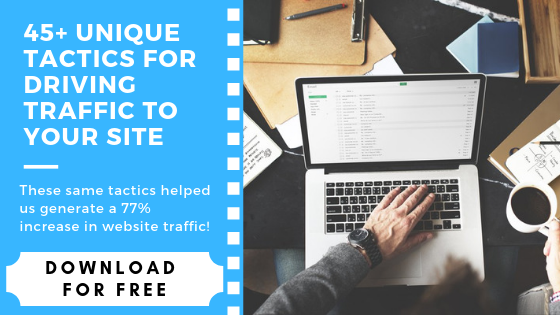 Building out your site with valuable information will create a marketing magnet for you over time, which will become your ultimate lead generation tool. Let's share a real life example of this. A small CPA firm owner wanted to understand what he could do to build authority, attract his target audience and grow online revenue. In short, he needed some marketing magnets. First, he examined the relationships he had with other businesses. He discovered the opportunity to connect with complimentary businesses for his accounting firm to partner with, which included other small businesses such as attorneys, financial advisers, and mortgage brokers. Next, he looked at potential ideas for using content as a magnet. His target audience are other small business owners. As such, a tax calendar with key preparation dates for these businesses offered a solid way to attract these folks. To get awareness to this, marketing copy with relevant keywords was created. It wasn't just one article, but a series of articles that could tie in with his audience's pain, needs and interests. The beauty of this process is that a new tax calendar is needed every year. This provides the owner with a unique opportunity to repetitively create a marketing magnet that continues to draw his prospects, year after year. 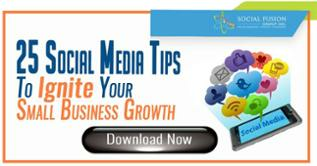 As distribution and attraction goes, social media is arguably one of the best marketing magnets for your business. The approach here is very similar to all the others on our list. Start by understanding your audience and their PNIs. Once that is done, provide value by tackling each pain point through carefully thought out, informative, and actionable social media posts. Interspersed with this value might be lead generating opportunities that enhance the value you are offering, while at the same time allowing you to create a deeper level of engagement with your audience. Look for opportunities to connect with your audience where they communicate. This may be in groups, from your profile, or simply from reading your stream of communication. Finally, be sure to stand out. If you’ve already built a reputation for yourself on social, your audience will surely be coming back for more of your work; but if you are still trying to make a name for yourself, it is important to make your posts stand out from the already extremely saturated social platforms. Use compelling visuals and always be sure to personalize your content for each audience segment you are trying to target. It has been stated that anyone speaking from a stage is perceived as an immediate expert. Leverage that authority, and create a marketing magnet for your business. Keynote speeches are a perfect place to promote lead generation because you are in that position of authority with an audience directly interested in what you are talking about. Thus, you are in the middle of a pool of potential prospects and leads. However that doesn't mean you can't sell. Offer something of value that pulls this audience into your funnel. This can be a free report, a free consultation, or a significant discount. Again, offer value and this could become the perfect marketing magnet for your business. Note: If you are not one to step up on stage, webinars work in exactly the same way. Just be sure to be open for questions, and always be willing to engage with your audience both sporadically during your presentation, and especially once you are done speaking. If you have (and are willing) to allocate some resources, perhaps it would be wise to invest in creating marketing magnets via online advertising. Paid online advertising can potentially generate immediate traffic to your offers by leveraging highly targeted ads. Google AdWords and Facebook Ads are two of the most popular ad platforms, with Twitter and LinkedIn ads following as close seconds. Using any of these paid ad services will get eyes on your offer, just be sure that your ad is compelling, making people want to engage, click, share, and comment. But remember, without a solid strategic and tactical plan for conversion on your ads, you will simply be throwing your money away. It is also wise to set a daily budget that makes sense for your business and analyze your ad sets frequently to review their effectiveness. Most importantly, think through the ROI. If you are interested in learning more about Facebook Ads check out our article here. As the title implies, these are individuals with great influence in either the same industry as your business, or in a complimentary one, and are already communicating with your audience. While great for building brand awareness and aiding you in distribution methods, these individuals can also be a powerful marketing magnet for you. It is important to ensure that these partnerships make sense for both parties, both financially and in terms of reputation. So finding and building a relationship with the most appropriate influencers is a task that needs careful planning and a strategic approach. If you are interested in learning more about how to find, choose, and partner with the ideal influencer, be sure to check out our article here. And there you have it, 5 Marketing Magnets that can potentially boost your lead generating efforts to the next level. Are there any we missed? Are you using any that we did not include on our list? Let us know!